This cluster of Orchids make a very pleasing display in anyoneï¿½s home. They come wrapped in a nice rustic paper. Thinking of making this gift even more special? Why not look at our gift section and select from our elegant glass vase range. We will deliver directly to your door. 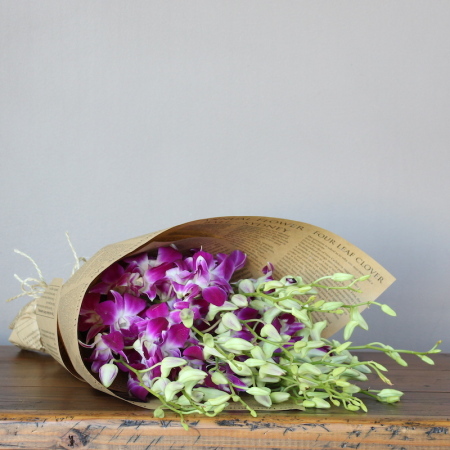 Order online or call our friendly team at Florist With Flowers on 02 9871 1666 to place your order today!